This custom turned pen and pencil set was produced by the Blythewood High Building Construction program. 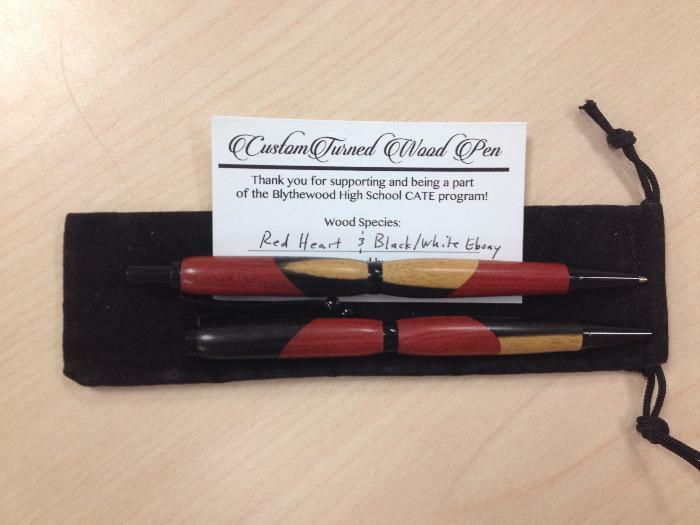 Both items are crafted from a matching blend of Red Heart, Black Ebony and White Ebony woods. The garnet and black color mix could make the perfect desktop item for any Gamecock fan!